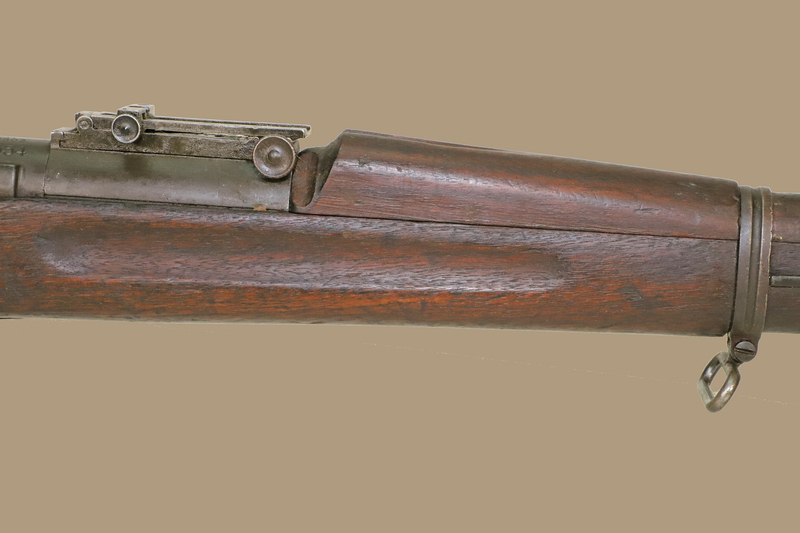 Model 1903 Springfield rifle. 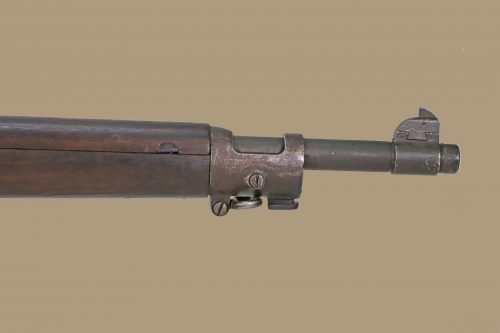 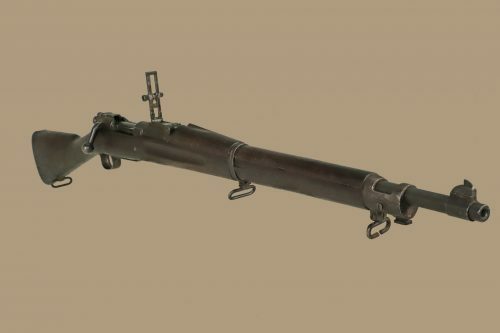 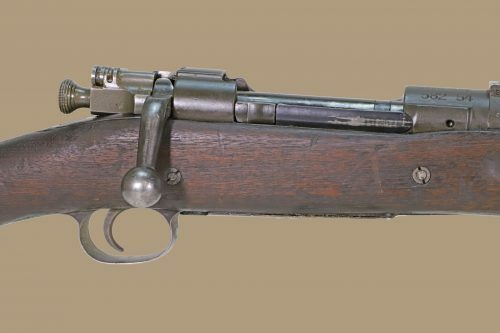 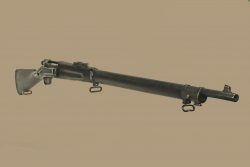 The receiver was built sometime in 1915, subsequent to its use in World War I and beyond it was re-barreled with a Springfield barrel dated 1942. The bore is a little rough due to maintenance negligence. Smooth brown finish throughout, no rust, no pitting. 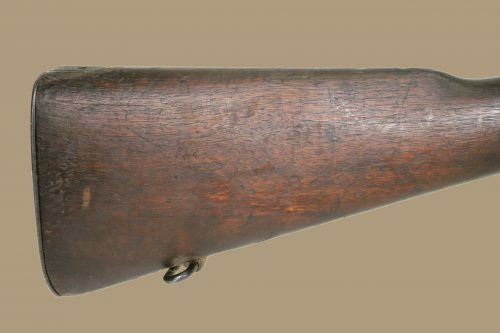 Sharp markings. 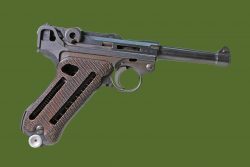 There is a small dent in the trigger guard. 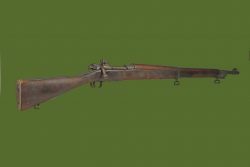 The rifle has a type S better known as a finger groove stock with no markings, there is a slight one and 1/2 inch hairline crack behind the receiver tang. A good example of an old war horse that is seen lots of action. 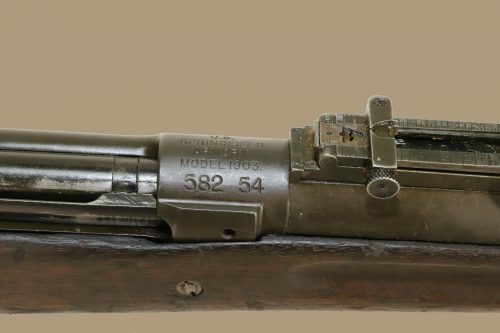 PLEASE NOTE: This rifle serial number is below 800000. 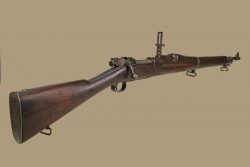 Springfield 1903 rifles below that number are not considered safe to shoot.